Carryover any unused minutes, texts and data as long as your cellphone service is active. We offer the least expensive way to own and use a cell phone in America. No contracts, credit checks, activation charges or cancellation fees and no surprises! Brand name phones from leading manufacturers like Motorola, LG, and Samsung. Choose from simple "Candy Bar" phones, to Bluetooth® enabled Phones. Airtime is purchased online, from your phone or from 90,000 retailers throughout the country. You get reliable Nationwide coverage on America's leading networks. Your Minutes and Days of Service carry over as long as your TracFone Service is active. Call nationally, internationally or roam at the same low rate. You can make international calls to over 100 destinations. You can buy Minutes and Days of Service directly from your TracFone, online or at retail stores. Triple the Talk. Triple the Texts. 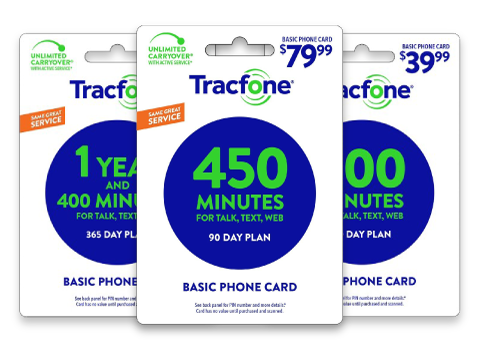 Get all of your talk, text and data tripled on every plan and pay-as-you-go card you purchase with an active Tracfone Android™ powered device. Sign Up For Telcel America Today!